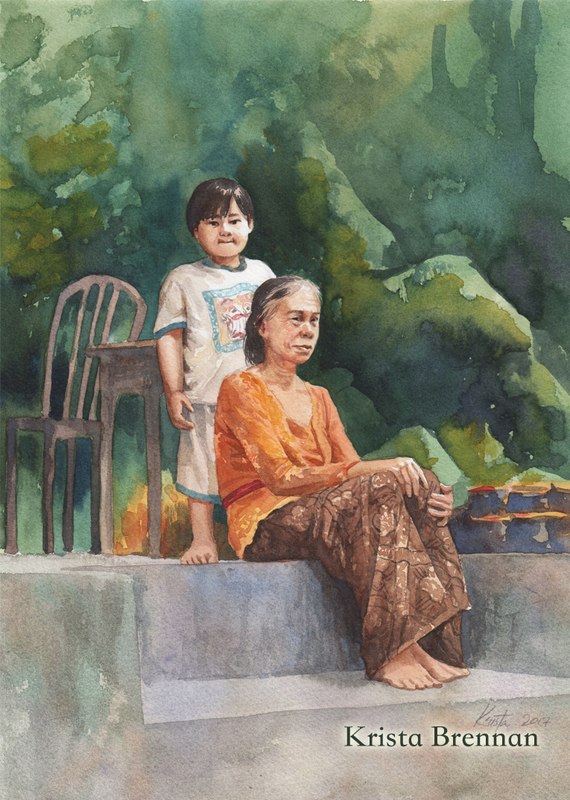 Travelling in Bali with my mum, we shared a moment with a grandmother and her grandson near a temple. The beautiful, mossy stones and her bright, colourful sarong caught my eye and made me smile. This painting was a demonstration for the Central Coast Watercolour Society workshop I ran in 2017 on Portraiture and People in Watercolour. A challenging topic!